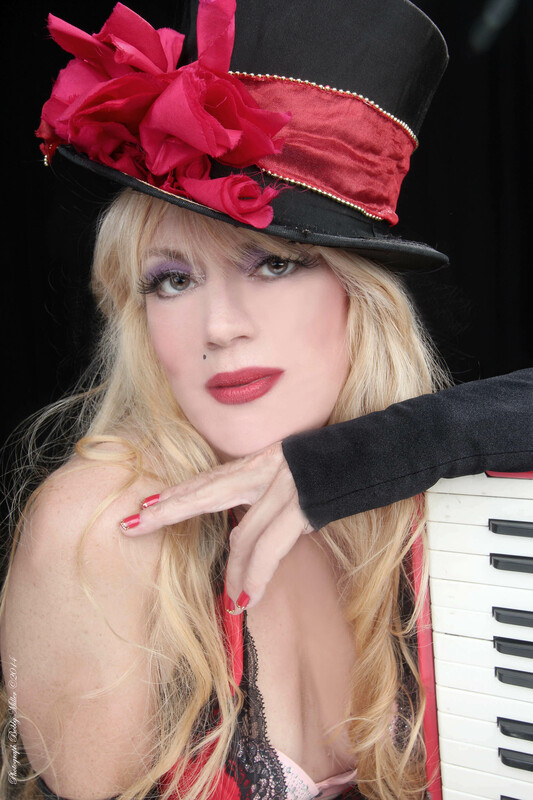 Phoebe Legere bringing Cajun music and more to Orleans, Mass. If there’s anyone who could be classified as a “Renaissance Woman,” it’s Phoebe Legere. The Maine native who is of Acadian and Abenaki (First Nations) descent, sings, plays a number of instruments (piano, accordion, cello, Native American flute, organ, buffalo drum, synthesizer, guitar and cavaquinho), stared in several films (Mondo New York and Toxic Avenger 2 & 3), paints, draws, sculpts, and writes movies and musicals. She also founded the New York Underground Museum in 2006 and was nominated for the Pulitzer Prize in Music in 2000. She’s released over 15 CDs of original music and will be appearing at Brick Hill House Concerts on Sunday, Aug. 30th, in Orleans, MA. We recently caught up with Legere who didn’t hold back in her answers to our questions. Limelight Magazine (LM): You’re going to be performing at Brick Hill House Concerts on Aug. 30th in Orleans, MA. For anyone who has not seen you perform live before, what can they expect at this show? Phoebe Legere: This is an excellent and fair question, but it is impossible for me to answer. I cannot see myself when I am performing, nor can I predict how I will be perceived by others. I can only tell you what I feel when I play music. I go on a journey inside myself into a cosmos of memory, desire and ideal beauty. There are spirits there, spirits of my ancestors and of animals. These spirits seem to hover near! They are very interested in the music. Spirit voices suggest things to me, ideas about color, pitch, timbre, re-harmonization and expression. My eyes may appear to be seeing the audience, but in fact, I am looking into a place beyond space and time. I feel deep love and compassion for my audience. I read them with my heart as I play. I play rhythms and notes and what I feel will soften hard places in their hearts and heal sad places in their minds. My job is to bring the music medicine to the people. That is why my native name is Phoebe Songbundle. I can be very photogenic, but cameras do not see very well. In person, I hover between pretty and ugly, male and female, young and old, white and Native. That is a good place to be. People soon forget how I look and they begin to go on the journey with me. Music is a magic canoe that can take you down the river of your own dreams. In that journey you will find your own ancestors and spirits of animals who can guide you to heal yourself. I channel the music of my ancestors – French Acadians, Abenaki Native Americans, Wampanoag ancestors who ran to Maine and Canada and joined the Abenaki during the Massachusetts holocaust, and yes, my Mayflower Puritan ancestors too. I’m descended from a few of the travelers including Bradford and a young woman named Remember Allerton. They named her Remember so we would never forget how the Puritans were treated by the English. I have to heal the pain of those ancestors who are still grieving because of the territorial and linguistic incursions of Imperialist England into North America at that time. You will also hear elements of church music in my note choices. I grew up in a small colonial town in Massachusetts where I sang in the choir and played the organ in the church. LM: Will you be performing solo or with a band and do you have a preference for one over the other? Legere: I have invited musical friends from the area to play with me. Notably, my friend singer-songwriter George Leonard, a 2015 inductee into the Rhode Island Music Hall of Fame, will play fiddle with me. I love to be part of a team. When we play together we are than the sum of our parts – music is prayer – everyone knows it’s easier to get the Lord’s attention if there’s a crowd praying the same song. LM: You’ve released 15 CDs of original music. How do you go about deciding on a set list for your shows? Legere: I use my intuition in everything I do. On the Cape I will play more of my maritime songs: “Big Sperm Whale,” (click on song title) “Heart of the Summer,” (click on song title) and “Sailing on the Sound.” When I am in French Canada, I do mostly French, but this far south I’ll sing mostly English. LM: In some of your promotional materials, it says you “reinvented Cajun music in your own image, mixing New York City jazz funk with New Orleans blues, down-home Acadian bluegrass, story-telling and melody.” How would you describe your music to someone else? Legere: I play North American music. An oyster makes a pearl from the pain of a grain of sand. Similarly, my music grows from the pain of forced human migration. What do I mean? Well, in 1755 the Acadians were deported to Louisiana – that’s how we get Cajun music at the same time Africans were being moved, forcefully, in chains, from beautiful Africa to places where they were treated like animals. The Cajuns (Acadians) were an underclass everywhere they went, since social status is all about territory and having a big house and an established business. The English had burned our houses and took our land. All we had was family and music. The Cajuns intermarried with the Africans and that’s when the music started to get really interesting. It’s called jazz. This is the vein I am working. Where Acadian music meets Black music. I like it and I feel right at home in this type of groove. To this Jambalya, I add plenty of Native American, French and classical elements. Yes, I went to Juilliard. Yes, I sing at Lincoln Center and Carnegie Hall. Yes, I write for and conduct Symphony Orchestras. Yes, I was nominated for the Pulitzer Prize in Music. But when I play folk music at a house concert, I am just that. I am a woman of the people, a down to earth, real person born on the 4th of July. LM: You sing, play several instruments including the piano, accordion, cello, Native American flute, organ, buffalo drum, synthesizer, guitar and cavaquinho, as well as write memorable songs. When did you take an interest in music? Legere: I started playing the piano before age three. I reached up and could feel the keys. That is when I started. I began composing at six and I’ve been professional since age nine. LM: What was the first instrument you learned how to play and why did you decide to pursue other instruments? Legere: In those days there was a strict division of instruments into “male” and “female.” The piano was feminine, a nice thing for a little girl to learn. My mother forbid me to play guitar. They directed me instead, to the cello, which was my main instrument for many years. My sister wanted to play drums and vibes. She was forced to play the flute. My other sisters played violin and viola so naturally I picked those up and started playing them. My grandfather played accordion. The accordion had fallen out of favor by the time I reached adolescence, but I found one in the attic. The minute I squeezed it I was hooked. The expressiveness of the reeds is like the sighting of the sun, the cries of immigrant populations! The accordion is the true instrument of the people! And what’s more, you can move while you play it. I love to hear the sound waves swirling around me as I stroll with my accordion. When I got involved with performance art many of the galleries and museums where I played did not have a piano. The accordion was perfect. LM: You have a very impressive biography. Of all of your accomplishments, what was your proudest moment so far? Legere: Singing my poem, The Waterclown, with the Cleveland Chamber Symphony in 2000. (Pulitzer Nomination 2000). The topic, water, the privatization of water and the importance of water in climate change has become one of the hottest topics in enviro-politics now. You can listen free to the mp3 on my website: http://www.phoebelegere.com/waterclown.html. Also hear me conducting and singing my classical chamber trio called STARS on the same page. LM: Outside of music, you’ve also appeared in several cult films including Mondo New York and Toxic Avenger 2 & 3. Did you like your experience working on these films? Are you still actively pursuing film projects? I direct and produce all of my music videos. My movie The Shamancycle Story, (about my 15 person rideable eagle sculpture made from up cycled and re-purposed junk), had a limited run in art houses last year. It could be viewed as a 20 minute extended music video for my song “Love is Your Power,” but you can also hear me singing the traditional, 10,000 year old Creation Hymn in there too. My early music videos, “Marilyn” and “Trust Me,” were collaborations with Nile Southern, Terry Southern’s son. I was very influenced by Terry Southern. Terry wrote Easy Rider, Doctor Strangelove, Candy, The Magic Christian, and most of Barbarella. He was an important writer until Nixon put him on the Enemies List after which he could not work in Hollywood. Nile and I lived with Terry in an old farmhouse in Connecticut. Terry’s ideas about movies and writings were a profound influence. LM: You’re also a painter who founded the New York Underground Museum in 2006 to preserve the works of artists whose works are not held by major institutions. Why is preserving these works so important to you? Legere: NYUM presents, preserves and curates the work of visionary artists whose work is not held by major institutions. In 2006 there was a show called the East Village show. I could not help but notice that women, artists of color, handicapped artists, ethic artists and Native Americans were not represented in this show. However, Madonna and Debbie Harry were in the show. This showed me how corporate culture not so subtly invades the world of high art. I wanted to create a zone of beauty and vision that was protected from the dominant money culture. LM: What artists do you currently listen to? Legere: Daniel Lavoie, Congolese hip hop such as Baloji but also the hip hop made by 12 year old soldiers in the Congo. I listen CDs made by families who sing the old Acadian songs, like “C’est d’même que ça commencé” by La famille Doiron who sang with me on my Canadian tour 2015, I listen to George Leonard and Ray Legere my cousin. I listen to the very old gospel recorded before it all became a business, I listen to the Smithsonian Folkways recordings. I listen to the radio just to see how bad it is. Yes. I listen to Top 40 and I realize with horror that somebody has now created computer program to determine the words and images from the top three songs in each year for the past 30 years and that is how the music is being made now. You think a song was written by an inspired artist songwriter? No. Music is now ghost written by teams of writers who market test the lyrics on subject fitted with electrodes. I was on a major label for three years. Epic/Sony. 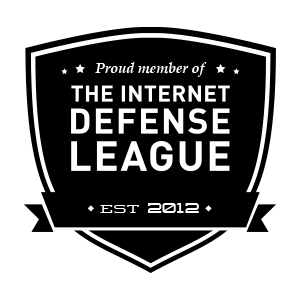 I know how these people operate and they are beyond scared shitless. They leave nothing to chance. How about that song “Shut Up and Dance.” Yes consumers listen closely. I listen closely to the top 10 songs to hear the subliminal messages embedded behind the lyrics. I listen to the machines used in the productions. Your consent is engineered. How do I know so much about Africa? I went to Africa in 1987 with Nile. We lived at Peter Beard’s Hog Ranch. We visited the Masai Mara. We lived with the Kikuyu tribesmen who had lived with Karen Blixen. I learned many things [such as] creativity, music, dance and costume. That is how I got the idea for Hello Mrs. President, [which was] my musical about the first black woman President of the USA starring Rock ‘n’ Roll Hall of Famer LaVerne Baker and me as (the First Partner). I had a friend named Boris Rose who recorded all the radio broadcasts of the 40’s. That was when radio had good music. The major labels were still signing musical geniuses. Boris made me cassettes of the broadcasts from the Royal Roost and the big ballrooms. He made tapes of the great boogie boogie and blues pianists who came through New York City and that’s how I developed my blues piano style, as well as spending a great deal of time in Louisiana with my grandmother. We are connected to all the Legere’s and Trahans in Eunice and Lafayette, LA. I listen to early New Orleans R&B. I love the period just after World War 2 when jazz was just morphing into rock ‘n roll. I love it. I can’t get enough music. I never tire of it. I studied jazz piano with John Lewis of the Modern Jazz Quartet but I have also hung out with and played with the best modern piano players from Nola’s great blind Henry Butler to my friend Billy Joel. Do I listen to Frank Sinatra, Billy Holiday, Big Joe Turner, Charles Trenet and Jacques Brel? You bet I do. I am an ear person. I listen to poetry being read by poets too. It is amazing what is available on YouTube. My best listening time is when I am not listening. In the silence I hear my own symphonies, melodies, ideas and songs. LM: Is there anything else you’d like to add for those reading this? Legere: I like music, I like musicians and I like people who like music. I like to listen in a group. Music is more important than people think. Music is the vibration that is creating the illusion of reality and music is the telescope that lets you see through the illusion. That is why, in the old days, before industrial music and machine music, music was the glue that held families together. That’s why they call it music harmony. I have created a free art and music camp for the high poverty at risk children of New York City. This is my passion. I am a natural teacher and that my greatest love is nurturing the visionary artists and musicians of the future. Did you see the drums I made – White Eagle Drum and Golden Wolf Drum with Abenaki symbols? I’ll be playing them at Brick Hill House. For more information about Legere, please visit www.phoebelegere.com. Phoebe Legere will be playing the custom drums she created at the Brick Hill House Concerts in Orleans, Mass., on Sunday, Aug. 30th.